1 What is the STAG Buying Group? Over 400 Retail, Online & Industrial based Independent Businesses form STAG the Buying Group. Higher Trade Discounts available from 150+ major brands. Overheads reduced with superb merchant card rates / courier services. STAG MDs - Ricky & Ward have a combined total of 50 years' experience. 2 How does STAG work? All discounts negotiated by STAG are taken off the invoice by the supplier. You continue to buy from your suppliers in the same way you have always done. STAG does not want their name above your business, our aim is to help you enhance your own brand, position and strength. The supplier sends your invoices directly to STAG. A copy of this invoice and your STAG invoice is sent to you. You pay STAG. One payment for multiple invoices saves valuable time and money by reducing your bank costs. STAG will solve your invoice disputes directly with the suppliers on your behalf. Our Credit/ Debit card merchant rates are amongst the lowest available to the industry. There is no cost to change. When you attend the STAG buying shows your overnight accomodation and meals are provided FOC by STAG. 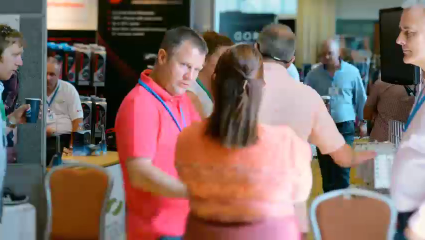 STAG Buying Shows offer members exclusive exhibitor deals, networking and enjoyment over two days. The STAG website has a members-only area where you can see all supplier discounts, special deals and contact details. 4 What does STAG cost? One off joining fee of £150/€150 and annual charge of £225/€225. There are no other charges. You are not tied into any contract therefore are not bound to continue your STAG membership any longer than you wish to. It's easy to join. All you need to do is fill out some basic information for us on the retailer form - click here. Ward will the contact you for an informal chat as Ward deals with all new enquiries personally. © 2019 STAG Buying Group Ltd.